Monitor for SEO attacks, schemes and exposed confidential information on top search engines. Search engine monitor analyzes your brand and keyword search engine results for threats. With search engine monitor, you can persistently track, alert and get support to investigate or take down search results that are negative, malicious, fraudulent or infringe on your brand. With a trillion search engine queries a day, its likely your customers, partners, employees and other stakeholders will unwittingly fall prey to fraud, scams and malware within search results. 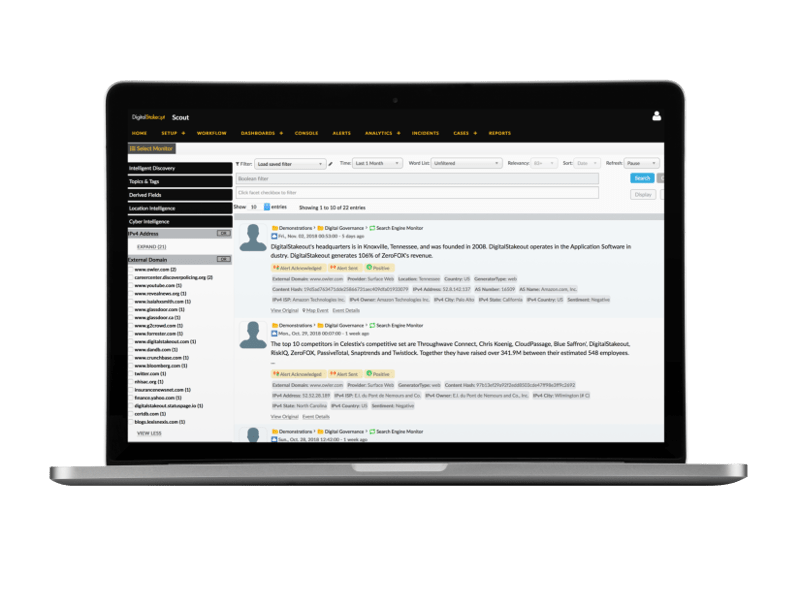 Search engine monitor will scan, analyze and alert you to keyword search engine results that can harm your reputation or are part of a vehicle that threatens your organization.